Great post David, I agree that a lot of these solutions do great in their own niche, yet no one has been able to take majority stake in the market because the features and users are spread across multiple platforms. I am working on a solution that consolidates the best features from these apps, to offer expanded social utility and engage a large user base, which then could monetize similarly to Twitter or Google. I will shoot an email your way with more info, I’m really interested to get your input. 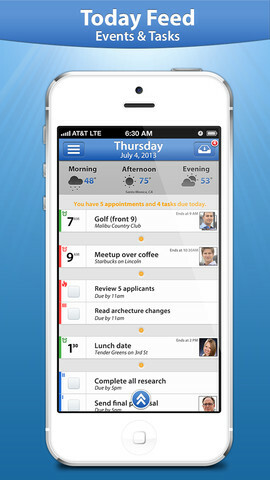 Check out MobileDay, a paid app if you want SF integration. I recommend Cal by Any.do. It’s clean, minimal, and connects seamlessly with their To-do list manager. It’s free too. I’m a big Tempo fan. I used Fantastical on the desktop.